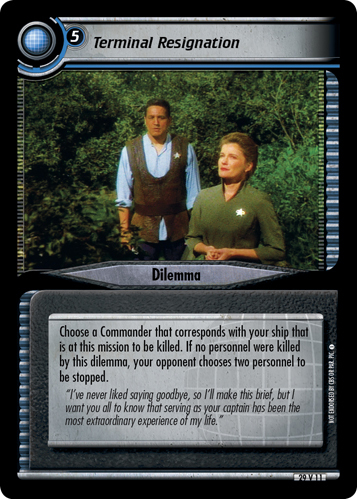 Choose a Commander that corresponds with your ship that is at this mission to be killed. 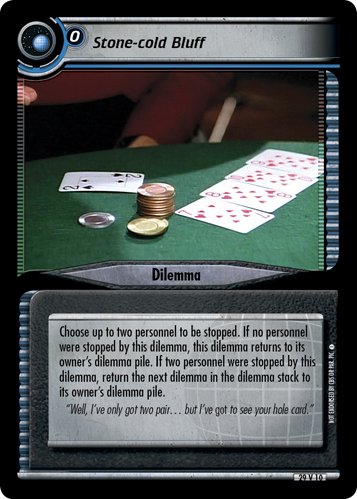 If no personnel were killed by this dilemma, your opponent chooses two personnel to be stopped. 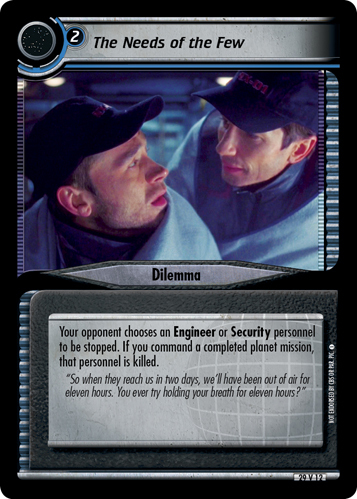 "I've never liked saying goodbye, so I'll make this brief, but I want you all to know that serving as your captain has been the most extraordinary experience of my life."